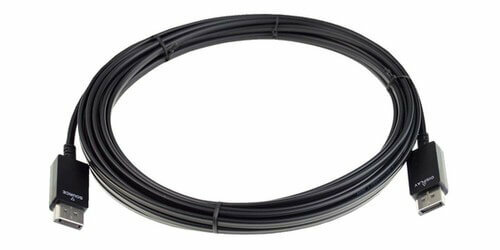 The PF-DPM-M-060M from Liberty is a 200' Hybrid High Speed DisplayPort Active Optical Cable with resolutions of up to 4K@60Hz 4:4:4 supported. 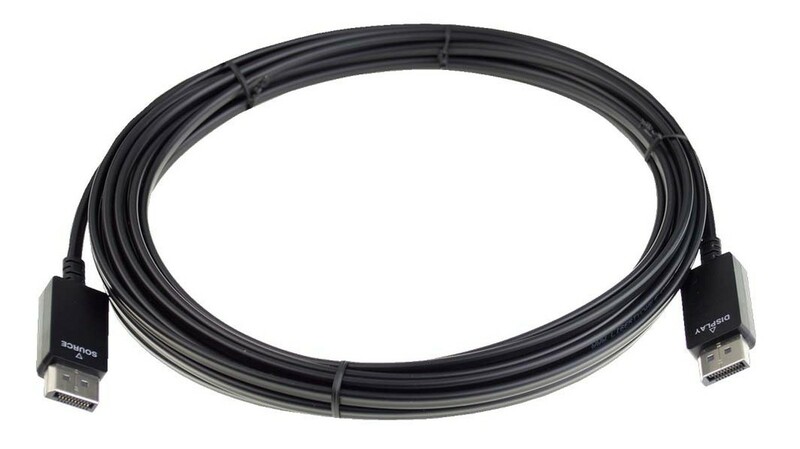 This cable with is made with Polymer Optical Fiber for better flexibility and boasts an ultra small diameter that can send signals at 5.4Gbps per channel x 4 channels. 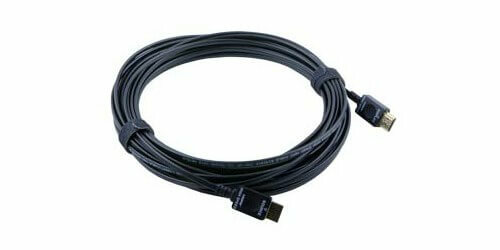 The DisplayPort supports 1.2 or 1.3, and HDCP 1.3 or 2.2, and draws its power from the DisplayPort receptacle power pins. It also carries a NEC/CEC Plenum rating CMP-OF, and is RoHS-2 compliant. 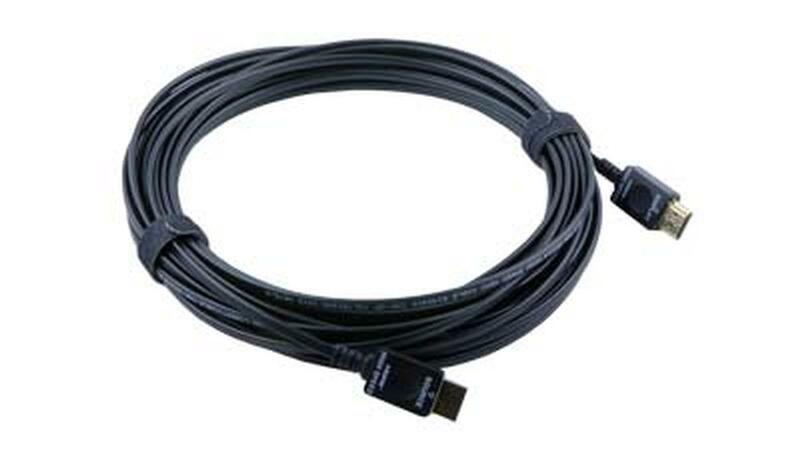 The PF-DPM-M-060M is used as a DisplayPort extension solution without the need for other devices, and is ideal for use in long distance cabling used with switches and distribution amplifiers, such as in digital signage type applications.